Do you have an odd shaped floor sink? 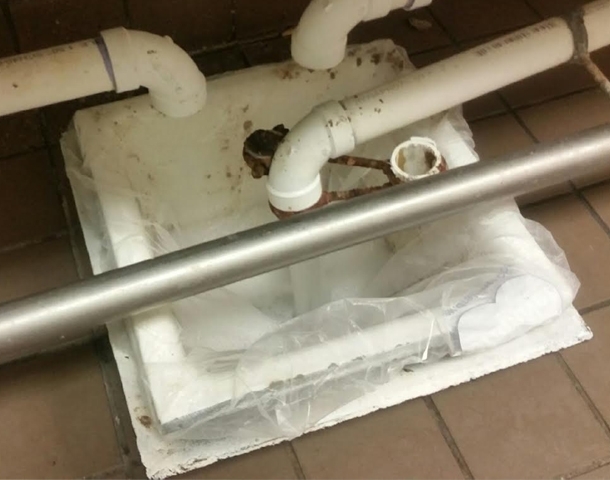 Does the floor sink in your restaurant get backed up with food, debris, and trash? Are you having trouble finding a floor sink strainer basket to fit? Then get the Floor Sink Disposable Filter! This fine mesh filter fits to the shape of your floor sink and keeps wet waste debris out of your drains and plumbing system. It can also fit over your current floor sink basket if you want to make it easy to empty. This will soon be available for 3-compartment sinks. Contact us today if interested. This filter has an elastic ban to fit over th edge of your floor sink or floor sink basket. If there is no edge, than this product may not work for you. See the picture below for an example of how this filter can fit.